JOHN C. BJORKBOM, silviculturist, is conducting research on the regeneration of Allegheny hardwoods at the Northeastern Forest Experiment Station's laboratory at Warren, Pennsylvania. He received a B.S. degree in forestry from the Pennsylvania State University. His research experience with the Northeastern Forest Experiment Station includes work in the management of northern hardwoods and the regeneration of paper birch in New Hampshire and Maine. RODNEY G. LARSON, recreation staff officer on the Allegheny National Forest, Warren, Pennsylvania, has a B.S. degree in forestry management from the University of Minnesota. His experience with the U.S. Forest Service since 1960 covers a range of resource-management assignments in land use, land acquisition, administration, information and education, and outdoor recreation programs and planning. Hemlock-beech forests once covered 6 million acres of the Allegheny Plateau in Pennsylvania and New York. To preserve a remnant of this forest, the Federal Government purchased the last remaining uncut hemlock-beech forest in 1936. Four years later, half of this area was set aside in the Tionesta Scenic Area, primarily for public enjoyment; the other half was set aside in the Tionesta Research Natural Area for scientific study. 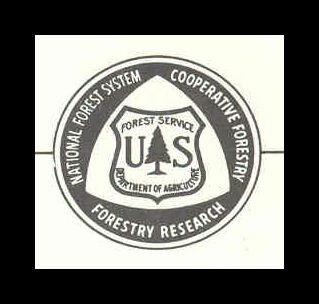 Both areas are administered by the Forest Service, U. S. Department of Agriculture. A brief ecological history of the area shows the changes that have occurred in the forest. Strong winds resulting in extensive areas of blowdown have led to the regeneration of intolerant species and the development of second-growth stands in a climax forest. Deer browsing has virtually eliminated hobblebush from the understory and limits regeneration to unpalatable species such as beech. Lists of trees, shrubs, herbs, and vertebrates present in the early 1930s are included. Please report website problems such as misspelled words too John A. Keslick, Jr.